Everyone's heard that there are no clocks or windows in casinos so that gamblers won't realize how long they've been losing money. But is this actually design gospel? And does it work? According to research, it turns out that the most successful casino design may not be the dark, maze-like designs we think they are. It's no shock that a business built on getting many people to ignore the odds and spend lots of money would be invested in making sure that every thing in the casinos work towards that goal. And, it turns out, the conventional wisdom is not what works. The biggest proponent of casino design that we think of as being "classic" comes from former gambling addict Bill Friedman, who became a professor teaching about casino management at the University of Nevada Las Vegas, a casino executive, and a casino consultant. In order to revamp the hotels that he had taken over, he studied over eighty Nevada casinos, trying to determine what they had that brought people to them. The games themselves are the same, so it had to be the package that was different. As he writes in Stripping Las Vegas: A Contextual Review of Casino Resort Architecture, "The only relevant consideration for casino design are these: What percentage of visitors gamble? What percentage return to gamble? Nothing else matters." If you've been to hotel where the casino was right there as you entered, the ceilings low, with little decor outside of the tables and machines, and with a layout that somehow always led you back to the casino, then you've seen the "gaming design" in action. In the last thirty years, casino design has undergone a shift away from the gaming design. After all, Friedman's design principle #10 is "standard decor beats interior casino themes." And for a while, that held: even though the exterior of the strip in Vegas showed hotels in a variety of themes, Friedman's designs still held for the casinos inside. "If you think about it, the traditional layout makes no sense," Thomas told me. "People don't want to make bets when they feel trapped or overwhelmed or confused. That's not the mood you want." Instead, Wynn and Thomas worked on the assumption that people would be more likely to place big, risky bets when they felt safe and relaxed. Rather than catch gamblers in a spiderweb of slot machines, a situation that risked breeding anxiety, casinos should seduce them with a sense of magnificence. "People tend to take on the characteristics of a room," Thomas said. "They feel glamorous in a glamorous space and rich in a rich space. And who doesn't want to feel rich?" Thomas set about creating a casino that contravened all the rules of casino design. Whereas Friedman criticized the "open barn" plan, which he defined as any space with an expansive layout and high ceilings, Thomas created soaring ceilings swathed in silk fabric and insisted on clear sight lines for easy navigation. Friedman called for "gambling equipment immediately inside casino entrances," with the most popular slot machines by the front door. Thomas, however, imagined an elegant lobby, not filled with penny slots but displaying a massive Dale Chihuly glass sculpture suspended from the ceiling and huge arrangements of real flowers. Traditional casinos banished clocks and any glimpses of sunlight, to make gamblers lose track of the hours. Thomas installed antique timepieces and skylights that let in the desert sun. He even broke the rule prohibiting décor in the gaming areas. While Friedman insisted that the best furniture was the gambling equipment itself, Thomas selected European-style furnishings with scrupulous care. The luxurious design, which violates many traditional principles, gets its "playground design" name from David Krane's evaluation of casino spaces, and has taken over among the resorts with the money to implement it. A similar experiment by same team of Harvey H.C. Marmurek, Karen Finlay, Vinay Kanetkar, and Jane Londerville introduced the variable of a soothing musical track. The average restoration ratings of the two designs only raised significantly for the playground designs. Participants said they would stay longer and gamble more in a playground casino design if music was present. Rack that up as another point for the playground casino. Small groups of participants were then shown one playground and one gaming video. From pleasure, restoration, and at-risk gambling intentions were measured using surveys. The results reveal that casinos conforming to the gaming design are more susceptible to the micro décor elements tested than are casinos conforming to the playground design. In order to decrease at-risk gambling intentions without a decrease in restoration or pleasure, the gaming design should feature static lighting, a varied color scheme, the clustering of machines by theme, or a symmetrical layout. The benign effects in a playground design may be induced by static lighting or a symmetrical layout. For both designs, females should be encouraged to gamble when the casino is heavily populated. And, again, the playground design wins. One possible mechanism of action of the effective odorant, we believe, is the phenomena called olfactory-evoked recall, in which, as mentioned, memories are stimulated as are their accompanying nostalgic exaltation of mood. Of almost 1000 subjects queried recently, 86% said that an odor could induce in them a vivid memory of the past. It seems possible that Odorant No. 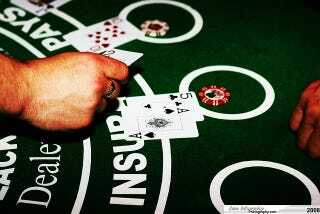 1 induced nostalgic recall and the associated emotions were affectively congruent with, and enhanced, the gambling mood. The paper also compares the scent to the lights, sounds, and other things in the casino. If that is true, it could fall into the same category as the small design elements manipulated in the other study. No matter what, it seems that the herd following Steven Wynn's design choices are making the right ones. From a profit motive, of course. Whether or not that's a good thing is going to be up to your opinions on gambling or even on these houses using studies to make people spend more.